Our next day & evening class begin on May 1st and Aug 5th 2019!! Give us a call at 423-847-1417 for enrollment details. Last massage scheduled at 5:00pm. Just gonna leave this here!! Get a 1 hour Licensed Massage Gift Certificate for $45. We're open Monday - Saturday, 9:00a - 6:00p. Our public clinic offers hourly massage sessions from licensed therapists ($45/hr) and student therapists ($35/hr). Available hours are 9:00a-6:00p (Mon-Sat). Chattanooga Massage Institute strives to prepare our students for the National Certification Exam for Massage and Bodywork for practice and beyond. Courses include Therapeutic, Advanced and Clinic Massage, Anatomy & Physiology, Palpation and Kinesiology. See our upcoming dates for Continuing Education programs hosted at Chattanooga Massage Institute. Classes include Ethics, Easy Deep Tissue, Techniques for Migraines & TMJ Dysfunction. Gift Certificate vouchers are available for purchase online and at our clinic. Online purchases allow vouchers to be emailed to yourself or a recipient of your choice. These are good for six months from date of purchase. At Chattanooga Massage Institute, we are dedicated to promoting excellence in the study and practice of massage therapy. We foster growth in a student focused learning environment, while instilling professionalism, compassion, confidence and respect in our graduates. Our philosophy is to provide excellent training in an inviting and more personal learning environment. We feel that massage is an extension of the therapist, as well as a form of communication and healing with the client. Our focus is to develop excellent communication, technical and clinical skills for our students to offer clients a professional massage experience. We look to enrich our students with well-rounded knowledge of the profession and seek to provide a rewarding experience for our new graduates as they prepare for a career in massage therapy. We strive to bring about an awareness of the powerful impact of touch and encourage our students to embrace their individuality in the development of their professional practice of massage. By guiding our students to this awareness, we promote the growth and development of our students' own personal "art of touch." 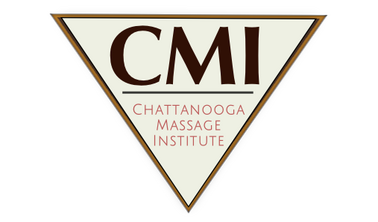 Credits earned at Chattanooga Massage Institute (CMI) may not transfer to another educational institution. Credits earned at another educational institution may not be accepted by Chattanooga Massage Institute. You should obtain confirmation that CMI will accept any credits you have earned at another educational institution before you execute an enrollment contract or agreement. You should also contact any educational institutions that you may want to transfer credits earned at CMI to determine if such institutions will accept credits earned at CMI prior to executing an enrollment contract or agreement. The ability to transfer credits from CMI to another educational institution may be very limited. Your credits may not transfer and you may have to repeat courses previously taken at CMI if you enroll in another educational institution, you should never assume that credits will transfer to or from any educational institution, it is highly recommended and you are advised to make certain that you know the transfer of credit policy of CMI and of any other educational institutions you may in the future want to transfer the credits earned at CMI before you execute an enrollment contract or agreement. Chattanoooga Massage Institute is authorized for operation as a post-secondary educational institution by the Tennessee Higher Education Commission. Come visit our Massage Clinic located at the school. We offer massages with Licensed Massage Therapists at $45/hr and student therapists at $35/hr. Our hours of operation are Monday - Saturday from 9:00a - 6:00p EST (last scheduled 1 hour massage at 5pm). In order to view detailed job placement and graduation information on the programs offered by the Chattanooga Massage Institute, please visit www.tn.gov/authorized-institutions-and-data.html.